What is Open Banking, and is it safe? Open banking will be the biggest shake-up the banking sector has ever seen. Starting in 2018 you can now take control of your banking data, get better loans and credit cards, and save money. And that’s just the beginning. 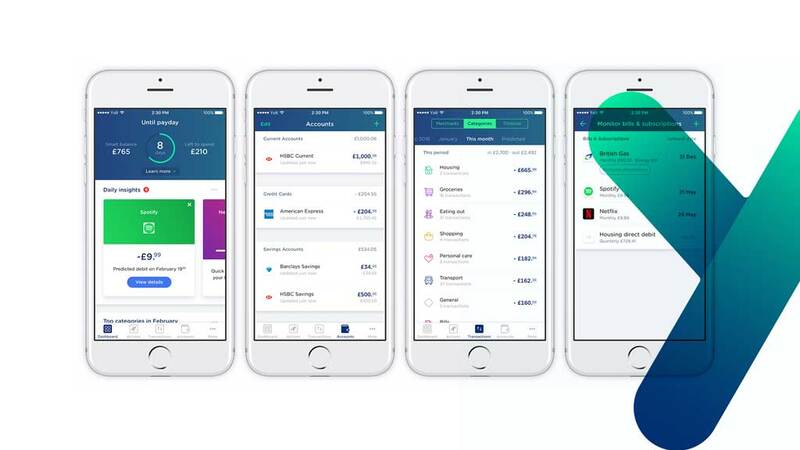 Open banking has landed, and it’s set to rapidly revolutionise almost every aspect of your financial life – from simple things like better current accounts and reducing how much you pay for utilities, through to the emergence of exciting new financial products, such as loans and mortgages that are uniquely tailored to your financial situation. Beyond your own finances, open banking will shake up a number of major industries in the UK. Banks will no longer be able to rest on their laurels – if someone offers better interest rates or cash incentives, open banking will make it easy to switch accounts. Utility providers like ISPs and energy companies won’t be able to sneakily overcharge consumers: open banking will allow third-party apps to notify you when your monthly fees are suspiciously high, and suggest you switch to a cheaper provider. In the future, open banking – with your permission – will do these things automatically: you’ll get a notification from your open banking app saying that it has switched from E.on to Ovo and saved you £100 a year, or that you now have a £200 Amazon giftcard because you’ve been switched from Natwest to HSBC. This is the beginning of the commodification of banking and utilities, and it’s going to be a very exciting ride indeed. As the name suggests, open banking is all about opening up banking data, to help consumers make the right financial choices. For the longest time, banks have sat on some of the most valuable data in the world: the details of all our transactions. Banks know how much we spend on food and rent, where we travel, and how we spend our leisure time – but they’ve never made it easy for us to share that data, our data, with other people or companies. Banks also hold onto other important data, such as the locations of every cash machine in the country, and the exact details of overdrafts, credit cards, loans and mortgages – financial products that impact the lives of millions of people. Imagine if your bank was as novel and innovative as a smartphone maker that diligently creates a whole new device every year. Imagine if you expected as much from your bank account as a new iPhone or Galaxy. Now, thanks to open banking – which is being pushed through by the UK’s Competition and Markets Authority (CMA) – all of this data must be made more readily accessible. Many banks and institutions now have publicly accessible feeds with the exact location of every branch and ATM, and detailed breakdowns of every financial product they offer. And, starting in January 2018, every major bank in the UK must send a list of your banking transactions to a third party (with your explicit permission, of course). If you want to give a mobile money managing app all of your Barclays banking data, Barclays must comply – and if that app then recommends you switch to another bank for a better deal, Barclays must honour the seven-day current account switch guarantee. There are very few restrictions on who can become a third party, other than accreditation and regulation by the Financial Conduct Authority (FCA). Most of these third parties are plucky fintech startups today, but it would be surprising if we don’t eventually see a Bank of Microsoft or Google that uses their tech mastery to produce some innovative finance and insurance products. The driving force behind open banking is the second Payment Services Directive (PSD2), a European directive designed to boost competition and the variety of products in the banking, credit cards, and payments space. The general idea is that the financial incumbents have been happy with the status quo for decades, centuries – but elsewhere, in the realms of technology and transport and culture, things are moving a lot faster. Current accounts and mortgages have hardly changed since their inception – but just 10 years ago we didn’t have smartphones or driverless cars or contactless payments. Imagine if your bank was as novel and innovative as a smartphone maker that diligently creates a whole new device every year. Imagine if you expected as much from your bank account as a new iPhone or Galaxy. Now imagine if every bank battled for your attention with a slew of innovative new features and exciting benefits, with the hope that they will win you over when you decide to switch. That would be pretty exciting, right? That’s the process that open banking hopes to kickstart. Another interesting aspect of open banking, which hasn’t been discussed much yet, is that the UK’s big banks must also support a new, simpler way of initiating payments. Without getting too technical, it’s now possible for you to pay for products and services directly from your bank account, bypassing payment gateways like Paypal or Worldpay and card processors like Visa and MasterCard. Because these middlemen take a cut of each transaction, the savings from direct bank payments might be passed along to consumers. With open banking, when you want to give another app your data, you log into your online banking and confirm exactly what level of access you want to grant and for how long. Your bank then transmits the agreed data to the app. At no point does the third party ever get your login credentials, nor access to data that you haven’t explicitly released – which is a big improvement over how many third-party account aggregator apps and services work today. Furthermore, companies that want to use open banking must be approved and regulated by the Financial Conduct Authority (FCA), which should severely curtail the incidence of data misuse, fraud, or cowboy startups running off with your money and data. You should still remain vigilant for scamming and phishing attempts – even if you’ve opted out or decided not to use open banking. Open banking necessitates that data can move around more freely than before – and nefarious types will surely be scheming to get their hands on it. As always, you should be highly suspicious of any emails, text messages, notifications, or any other correspondence that asks you to click a link or to provide personally identifiable data. The CMA’s first open banking deadline was January 13. All nine of the UK’s major high street banks (HSBC, Barclays, RBS, Santander, Bank of Ireland, Allied Irish Bank, Danske, Lloyds and Nationwide) were required to open up access to your banking data and support direct bank-to-seller payments by that date. In practice, four of the banks (Allied Irish Bank, Danske, Lloyds, and Nationwide) were fully ready on January 13 – and the other five were granted a short extension by the CMA. Over the next few weeks and months, every current and business account provided by the Big Nine will have open banking enabled. Then, throughout 2018 and 2019, providers of credit cards, digital wallets, and prepaid cards will also be required by the CMA to offer open banking. As you can imagine, a swarm of early-stage startups are working feverishly to develop apps and services that tap into your open banking data – but right now there are very few that are actually usable and have been approved by the FCA. There are some apps out there that give you a taste of what’s to come, though. Yolt, which was created by a startup-like group within the Dutch banking giant ING, lets you load all of your bank accounts and credit cards into an app, and within minutes you can see a breakdown of your travel expenses, your household bills, and whether you’ll run out of money before payday. Another interesting app is Moneybox. You link it to one of your credit or debit cards, and then it automatically invests your “spare change” in an ISA when you purchase an everyday item like a cup of coffee or your weekly groceries. So, if you spend £2.70 on a coffee, Moneybox would put 30p in your ISA. Over time your savings will grow – and if you’re feeling adventurous, Moneybox will give you the option of investing the funds in high gain (but high risk!) stocks and shares. As more open banking apps emerge, and interesting new services and payment systems open up, we will write about them here on Bankrate. And of course we’ll also report on the other half of the equation: how the big banks respond to the biggest change the industry has ever seen. Stay tuned: we are living in interesting times. Now read: Which banks support open banking in the UK today?